​The NBA MVP Race. 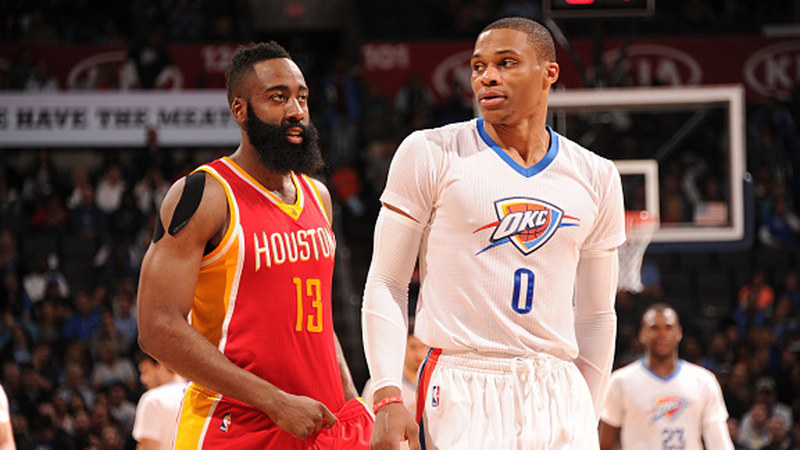 Harden or Westbrook? As the ending of the NBA season approaches, speculations about the NBA MVP of the season award are louder and louder. Throughout the season many players were in option, but only two were above others for the whole time. James Harden and Russel Westbrook are performing miracles this season and they need to be credited because of that. In short, brief moments, a couple of guys were near them but that was just temporary. 10 or 15 games at a high level, and then back to ordinary performances. The two above-mentioned displayed high level in all of their games. The opinions about who needs to receive the MVP award are divided. On one hand, we have people who are saying that Westbrook is creating history and that he should be the MVP, on the other fans of James Harden are saying that his team is recording better results and that this is also important.Also, as one of the arguments, they are mentioning the game from two nights ago when Houston defeated Oklahoma 137-125. We are going to make a quick look trough all the stuff linked to this and tell you our opinion. When looking stats from this season, they both have magnificent numbers. Westbrook is the first scorer in the league with 31.3 points and third assistant with per game. Harden is right behind Westbrook in points with 29.4, but he is first with assists recording 11.3 per night. The category where Harden also has an advantage are double-doubles. He currently has 58 of them, three more than his opponent in the MVP race. But the most important thing in a statistic is on Westbrook's side. He currently has 37 triple-doubles and if he reaches 4 more he will be tied with Oscar Robertson as the players with the most triple-doubles in the history of the NBA. And that is history. Also, OKC guard has a triple-double average in each game because he has 10.5 rebounds per game. The fact that all Harden's fans are saying when talking about this subject is that Houston is having a much better season than Oklahoma City Thunder and that this is because of Harden. That is true, but we have to stop there for a while and look the depth of both teams. 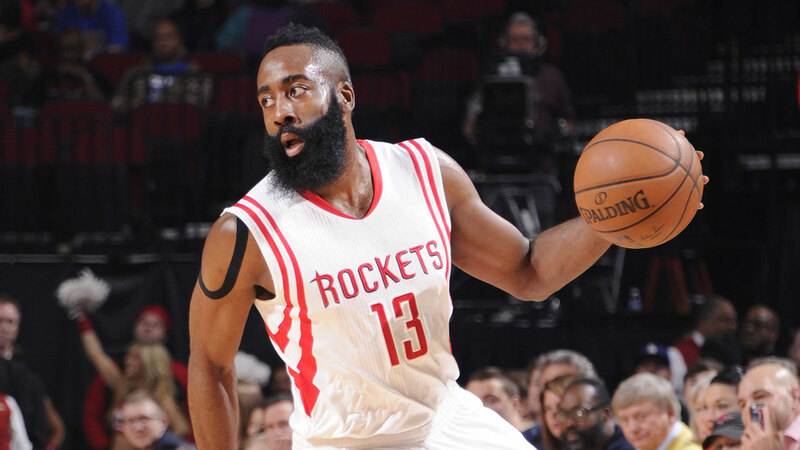 There is no doubt that Houston has bigger and better rotation, and that this allows Harden to play much more relaxed. Another fact is considered the pace of the game. Houston plays a high-tempo game, with lots of running and no defenses. When we look this wee see that percentages of Hardens's points in Houstons scoring are far less than Westbrook's in OKC. If we compare these two on the defensive part of the court, we see that Westbrook's opponents are far less productive than Harden's. While Houston has two or three players who can score 30 or more points, Westbrook is single-handedly engendering every win of his team. Especially since Victor Oladipo and Enes Kanter, two guys who can contribute besides him were injured at some point of the season. All in all, there shouldn't be any doubt when voting, because Russell Westbrook is creating history this year, and he is the most influential player on the court in the past several years. Harden is also amazing, but for WinPredict, the No. 0 from UCLA university is already the MVP.